Anyone out there have a case of the Mondays today? We totally know how you feel. We're all especially prone to it with all the great weather summer brings along. Whether you spend your weekend lounging at the beach or dressing up for picnic brunches, walking into the office come Monday can feel like a monumental task, even if you love your job (like I do!). That's why we're here to cheer you up with a good laugh. Iconic singer Céline Dion stopped by The Tonight Show on Thursday and graced us all with some seriously hilarious impressions when Jimmy Fallon brought out the famous Wheel of Musical Impressions. Our favorite one? Céline got hit with the task of singing "Row, Row, Row Your Boat" like Rihanna. Set to the tune of Rihanna's "Work," we couldn't keep from busting up laughing. The impression was so spot-on, even down to the dance moves. Scroll on to watch the video for yourself! On Céline Dion: Mikael D Resort 17 dress. 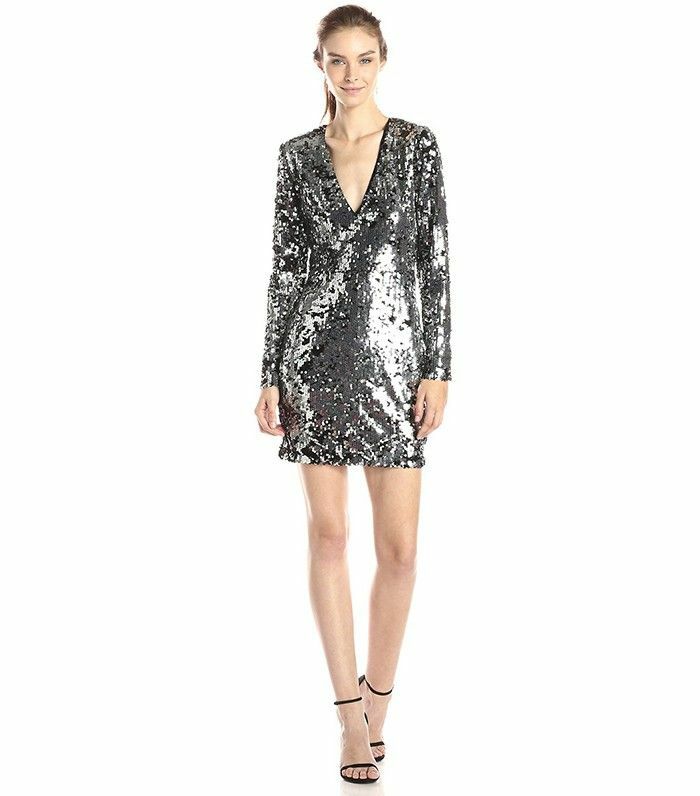 Shop similar: Rachel Zoe Muse Sequin Dress ($445). What do you think of Dion's crazy impressions? Sound off in the comments below!